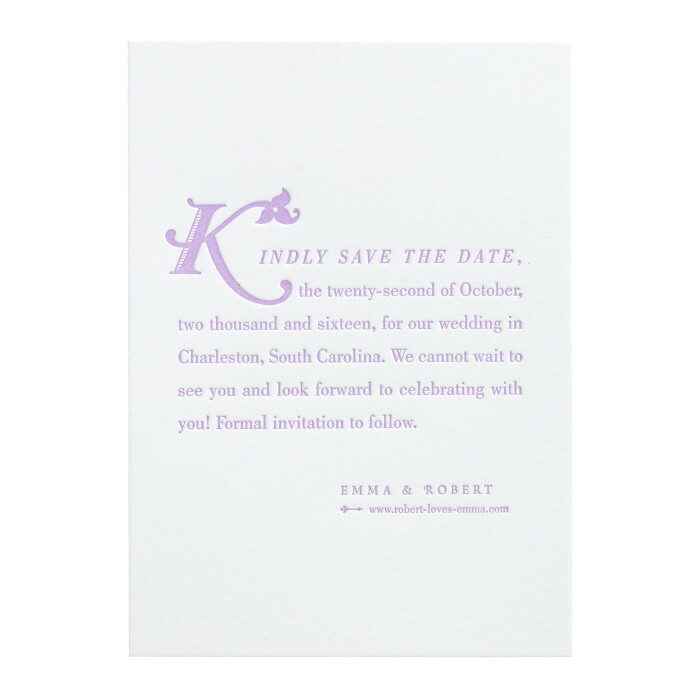 Elegant and traditional, the Emma Save the Date showcases Yuling's contemporary take on drop cap lettering. Beautiful embellishments adorn the swooping letter. The piece is one-color letterpress printed single-sided on luxuriously thick cotton cover stock with a textured tactility. $947 for 100 one-color letterpress printed, or $500 for 100 flat printed Save the Dates and matching matte colored Envelopes.